A Higher Level of Customer Service! 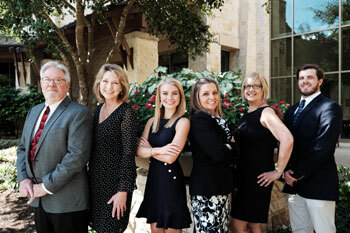 The San Antonio Premier Group is a San Antonio Real Estate company built on the promise of exceptional customer service. We are a dedicated team that will work around the clock for our clients. We want to make your experience with us as easy and straightforward as possible. Our goal is to get your home sold quickly and for its optimum value. The Premier Group specializes in buying and selling homes in San Antonio, New Braunfels, Boerne, La Vernia, and surrounding areas. We have a dedicated team to assist you in all aspects of the process of buying or selling your home in the San Antonio area. We have a dedicated buyer's agent that will assist you with new home construction or pre-owned homes. The Premier Group has extensive knowledge of the San Antonio area builders and subdivisions. Our team also has the services of a Professional Interior Designer that will provide complimentary staging services to our clients! Whether you are buying or selling your home in the San Antonio Real Estate market, call us to discuss our programs for San Antonio area new home construction, San Antonio Builder Move Up or Programs for San Antonio Military Discount and San Antonio Employers Groups. Whatever your particular San Antonio Real Estate need, The RE/MAX Realty Advantage Premier Group is here to earn your trust! Let us show you homes for sale in San Antonio and surrounding areas! We appreciate your time and thank you for your consideration!